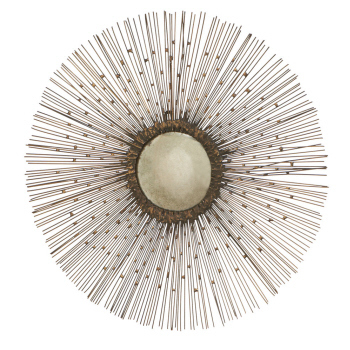 Mix and Chic: Fabulous finds- Starburst/ Sunburst Mirrors For Under $100! 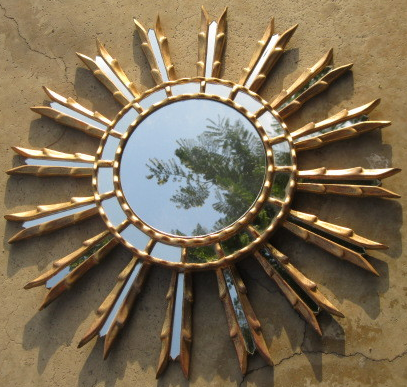 Fabulous finds- Starburst/ Sunburst Mirrors For Under $100! 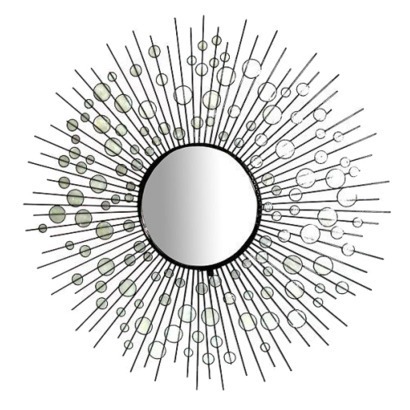 Starburst/ sunburst mirror is one of the biggest trend in the world of interior design. You have obviously stumbled upon them on various DIY blogs with detailed tutorials inspired by these beauties. Yes, you can definitely do it yourself at a fraction of the price but I am sure they are some of us who prefer to get them in the store or online for convenient's sake. 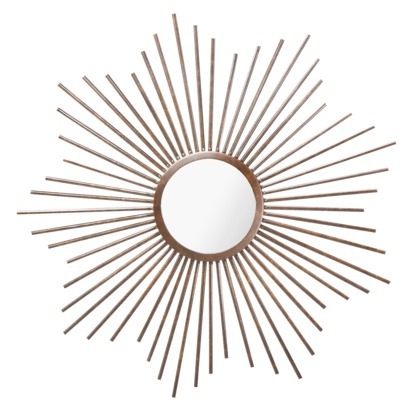 There are so many variations of these popular mirrors and price points to cater to people with different design aesthetics and decorating budgets but today, I wanted to share with you my favorite starburst/ sunburst for under $100. 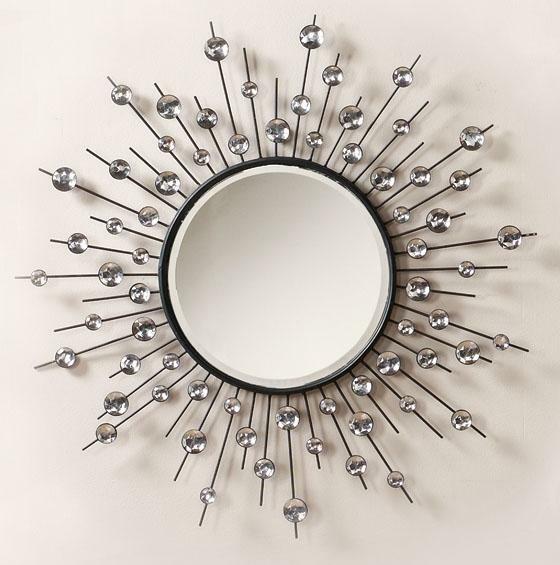 Are you a fan of starburst/sunburst mirrors? Which one is your favorite? Do you already have one at home? 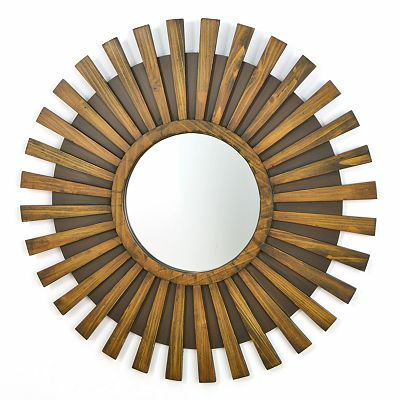 Do you know of any inexpensive starburst/ sunburst mirrors for sale? I do like the first one. 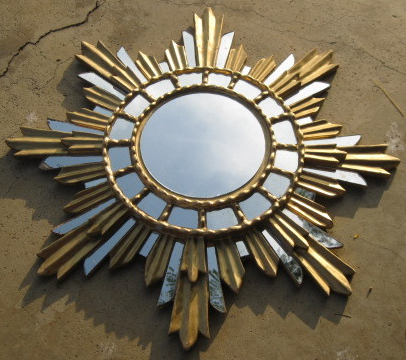 We had an antique starburst mirror which we sold at auction when we downsized. It was beautiful but we have only so much space. I found one at Amazon.com for $19.99!! I bought 3! I also found a great one at Home Depot for $35! *** Thanks as always for an interesting blog today... I love coming here!!! What a steal! I love the first one. Thanks for the heads up. Great finds Jessie! At first when I read the headline I read it as "Stardust mirror" ... lol! Great finds! I keep thinking I am going to diy one - but with these available who needs to!? I sure am!! In fact, I have one hanging by my front entrance right now and it is a beautiful piece at a jaw dropping price of $60 at HomeSense! I couldn't resist the temptation and picked up 2! 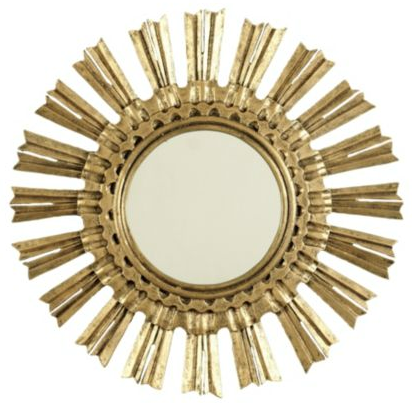 They are similar to the carved wood sunburst you have here only they are in gold! Great round up Jessie. Bookmarking for future reference. 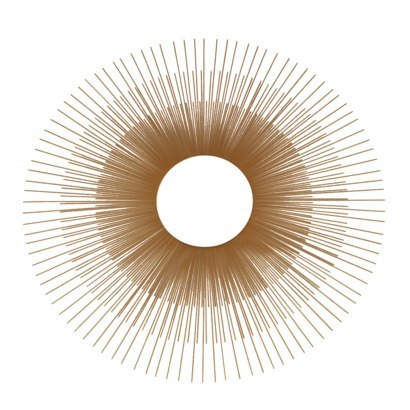 Great images of sunburst mirrors. Cant believe some of the prices. Pretty cheap! GREAT POST:) I really like your blog and I now follow you on twitter. great finds...i wish i had a wall big enough for all of these together in a collection! WOW. so many bargains. I think I have the carved wooden one in my bedroom. Love 1 and 5! Great finds! Home tour- A handsome Manhattan duplex! Home tour- A modernized old Swiss home! Cool designer alert- Gabriel Hendifar! Home tour- A beautiful Monte Carlo home! Cool product alert- Menu Pin Tables! Home tour- A designer's stylishly casual home! Cool designer alert- Bronwyn Poole! Home tour- An industrial chic Texas duplex! Another year older, another year wiser! Cool product alert- Menagerie Madness! Cool designer alert- Sally Wheat! Gorgeous and stylish living rooms! Fun, fresh and fabulous Easter decorating ideas! Cool designer alert- Steven Gambrel! How to add colors to a gray space! Guest posting at My Beautiful Life!